Just on October 18th alone the S&P/TSX Composite Index has dropped 125 points. And compounding on this, all three major U.S. indexes also plunged a staggering 1% on the same day. 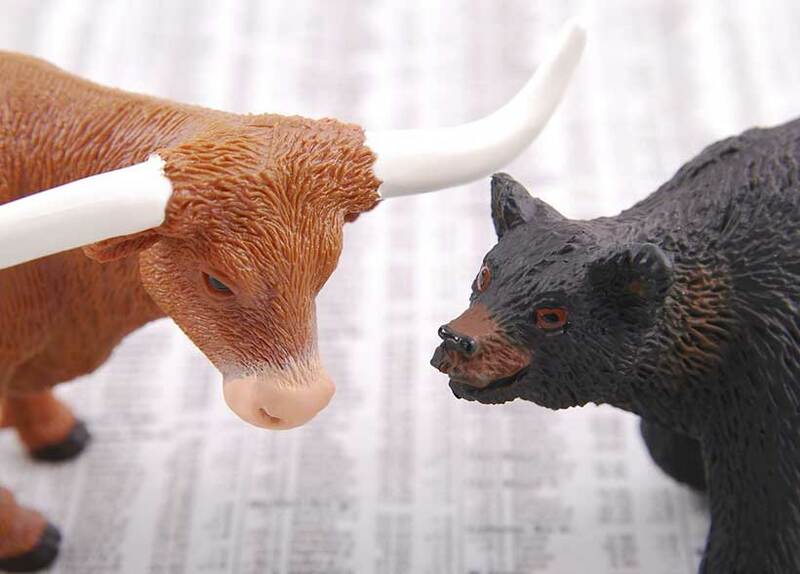 It’s a new week, and investors will be scrambling for a bump in all indexes. And although interest rates are rising and growth in developing countries have shown signs of slowing, this certainly doesn’t mean investors should run for the hills. On the contrary, those in hunt for growth should instead be on the attack during this pullback session. As such, for those in search of interesting growth stocks listed on the TSX, I have compiled some worthy of your time during this week of potential gains. Over the past month BlackBerry has seen a drop of 5.4%. And shares have dropped 10.4% in 2018 so far. Nonetheless, they still show incredible promise with a growing footprint in the cyber-security market and continued growth in the software and services realm. Down 8.6% over the past month, this stock is still up 8.1% in 2018. Jamieson still shows solid earnings and a strong footprint domestically and internationally. It is readying the release of its third-quarter performance on November 6, which from all indication seems very good. Their quarterly dividend is $0.09 per share, which equates to a 1.3% dividend yield. Despite still being up 22% for 2018, they too have seen a clawback with a 10.8% drop since the past month. This is a stock to consider holding for the long term. They are an alternative financial service provider, seeing staggering growth in revenue and in loans. Quarterly dividends are set at $0.225 per share, representing a dividend yield of 1.8%. Dropping nearly 38% over a three-month stretch, shares of Stars is still up 5.6% in 2018 because they have had excellent earnings in continuous quarters. They are also increasing their foothold in the U.S. via legal sports gambling businesses. Because Star Group has always been well positioned in online and mobile gaming, expanding their reach further into sports betting is a potentially lucrative decision. They are definitely a very attractive buy-low prospect for your portfolio. Shares for Aphria is up 4% in 2018 even when you take into account that their stock has dropped 6.4% over this past month, as of October 18. Their production is already gearing up for 2019 and have consistently had low costs per gram. They are still cash positive, allowing them to continue to be aggressive during the full legalization roll out. Relative to their more higher-priced competitors in the market, their stock price is currently very undervalued and could see a very impressive return in the near future. Thanks for the tip. I added more Jamieson. They've done exceptionally well for me over the decades. Anymore tech stock choices you can recommend? LOL! Blackberry is still here? I remember prior to Apple redefining the rules of the phone market, Blackberry was the lord of the smartphone jungle. They even scoffed at the iPhone being less secure. And over night they disappeared. So buy BB? Pass. There should be somewhat of a market correction coming very soon. Notice that the U.S. midterms are coming up. I believe markets are uneasy because of the implications of control being handed to a different party.